I continually strive to give my readers the best information possible, so that they can make informed decisions when buying. 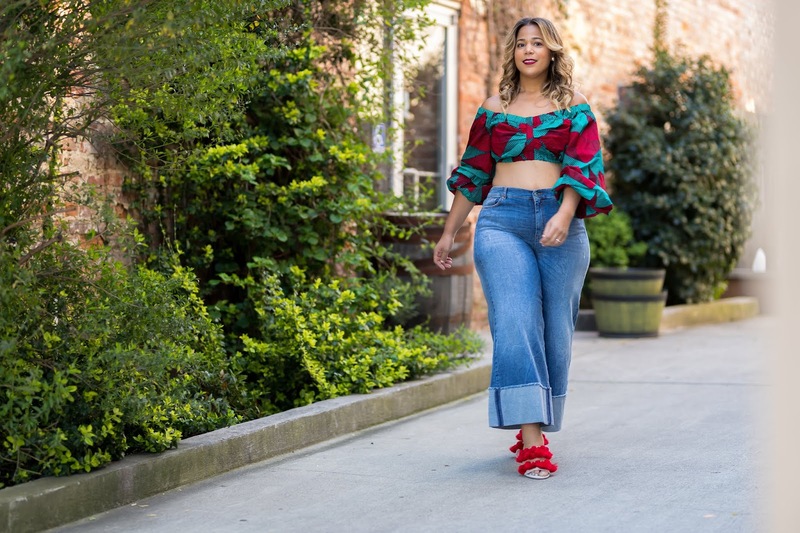 As a plus size fashion blogger, I primarily show clothing on my own body type. I often wish that I could show great pieces that I love on multiple body types, not just my own. My readers have a diverse set of body shapes and would gain awesome insight from tools that show how the same articles of clothing fit on different lady lumps. This is where BeauCoo (Pronounced: bo koo) comes in. BeauCoo is a fashion centered, body positive community where you can not only post photos, but get information on the fit and quality of clothing. With this app you can also see garments on different body types, allowing you to make well informed decisions before you make a purchase. Think of it as a fashion based, girl power Instagram. Who runs the world? As most of us know, all the great plus size shopping is done online, so the BeauCoo app helps you along your way. You can search and view items based on your own measurements. Follow, like, and bookmark pieces and users that you love. A lot of your favorite bloggers are already members. Most recently, Militant Baker posted about a polka dot dress on the BeauCoo app from Modcloth. I’ve been eyeing this dress and wondering about the length. 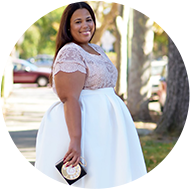 As Modcloth has been revamping their plus section, there are still inconsistencies in the sizing. Some items are run big, some run small, and I’m always wondering about the length. Militant Baker talked about the length being too long for her, but that would make the length perfect for me. This app made it possible to take the guess work out and now I can add yet another dress to my wardrobe. My husband will be thrilled about that, right? HA! The BeauCoo app is definitely the blogger or wannabe blogger’s new bestie. This app allows bloggers to post photos and to have a database of information about the clothing we buy. It gives its members that information conveniently at your fingertips when and wherever you shop. It’s like a shopping buddy. For the wannabe blogger, this app is a great start to see if fashion blogging is something you want to try. It becomes a mini diary of the clothing you wear, how they look, what others think, and how you felt about the item(s) without the commitment of a full blog. Now, the main reason for my support of this app, BeauCoo is a body positive community full of women of all shapes and sizes. It’s all inclusive, meaning that all sizes welcome. I am often featured on main stream websites and social media sites and I know there can be a lot of negativity on the internet. I also know that no one is kinder, honest, and uplifting as positive women. I’m always for uplifting, encouraging, and getting a girl to “werk it,” both fabulously and confidently. BeauCoo provides that perfect positive media outlet while celebrating women. Another great aspect of the BeauCoo app is the commenting. I always say that you should count your compliments per day. At the end of the day you should feel pretty darn special. Imagine the greatness that the BeauCoo app could do for not only women, but for teenagers. I’m kind of jealous that I didn’t have an outlet like this when I was a teen. Sigh! So how do you join? You just need your iPhone or Android phone to do it. It’s free and can be found in your app marketplace under BeauCoo. Then start snapping away in dressing rooms or anywhere that you can catch your reflection. You can also join via the web. If you join, find me so we can follow each other. I’m under Garnerstyle or here. My phones updates are insane and sometimes I miss them. If you follow me, be sure to tweet me (@garnerstyle) and let me know and hashtag it #BoPo (body positivity). Now it’s time to get to “werk” (in my best RuPaul stance). This post was sponsored by BeauCoo, the thoughts, opinions, & support are my own. How cool! I am SO checking this app out! Thanks for the heads up! I will be checking this app out for sure! Thanks for posting! Looking into this app for sure! Hi! I am I am Munna Singh before some time I was patient of wrinkle then I heard about wrinkle Reduction in Delhi in klinikesthetika clinic. Then I used this service and I got a best treatment of wrinkle and after some time I become free from wrinkle.